Many people (not just witches) pay attention to the moon when planting a garden or farming. The Farmers’ Almanac publishes a “Gardening By the Moon Calendar” every year. On their website, you can uncover all sorts of valuable information. For example, you’ll find days that are bad for planting. You will also find days that are excellent for planting certain types of plants but not others. You will learn the best times to sow seeds and the best times to harvest in the coming months. All of these projected activities are calculated based on the phases of the Moon and its position in the sky. If you decide to grow your own herbs in your hedge witch garden (instead of simply using the spice rack in your kitchen), the Farmers’ Almanac will be incredibly useful. However, I highly recommend that you also consider investing in a magickal astrology almanac that will, at the very least, tell you what phase the moon is in, what sign it is occupying, and when moon goes void of course. While the Farmers’ Almanac tells you the effects of these things, it does not spell them out in quite the same way. The magickal almanacs will help you begin to see patterns for yourself. Every year, Llewellyn publishes the Witches’ Datebook, which has a lot of the same information as the Farmers’ Almanac and much more that will be useful in organizing your life. While the Moon casts its influence over all plants, some actually share in its Lunar energies more than others. These herbs are useful for helping us to recognize and deal with our emotions. They work on the subconscious mind, and are extremely helpful in developing intuition, something most hedge witches prize dearly. If you are beginning your study of herbs by tapping your kitchen spice rack, you will be in for a bit of a let-down when it comes to your lunar herb. Unfortunately, there is no easy selection for this category. The plants that have culinary value, like lettuce, cabbage, and turnips aren’t typically thought of as herbs. And they would be awkward to work with magickally and medicinally. The herbs that have magickal and/or medicinal value don’t seem to have any real culinary value whatsoever. Unfortunately, this category of herbs seems destined to be problematic. Since I can’t locate one all-purpose plant that will serve you well magickally, medicinally, and in the kitchen, I am going to advocate a plant that has magickal and medicinal value. If you desire to add a Lunar plant to a meal you are preparing, you can always turn to the vegetables listed above. Technically, willow is a tree and not an herb as most people think of the term. But its magickal and medicinal uses are so valuable that it really does deserve to be planted in the hedge witch’s garden as a lunar herb. The entire plant guards against evil. Plant it at your garden gate to prevent unwanted influences from gaining access to your inner sanctum. Carry its leaves to attract love. Cunningham says that adding crushed willow bark to an incense of sandalwood will aid in conjuring spirits. 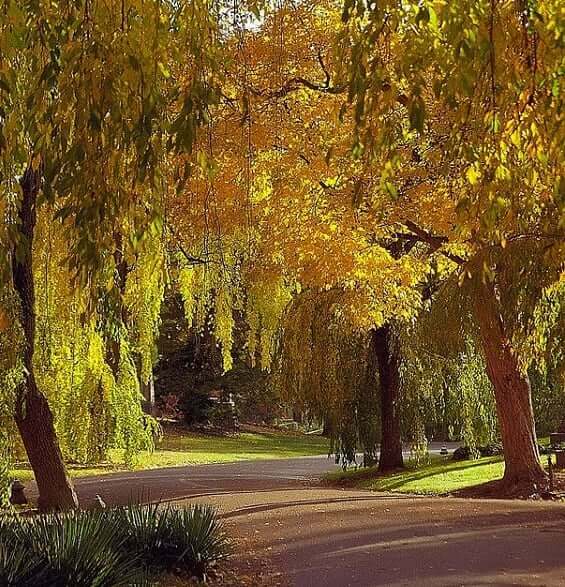 Added to wine, the leaves of the willow tree will calm the passions. On a medicinal level, the leaves, bark, and seeds may be used to stop bleeding. The leaves can be used to help with colic. Willow also clears up the complexion. And, of course, willow is an excellent home remedy that heals headaches. Moonlight Madness … Or Genius? !